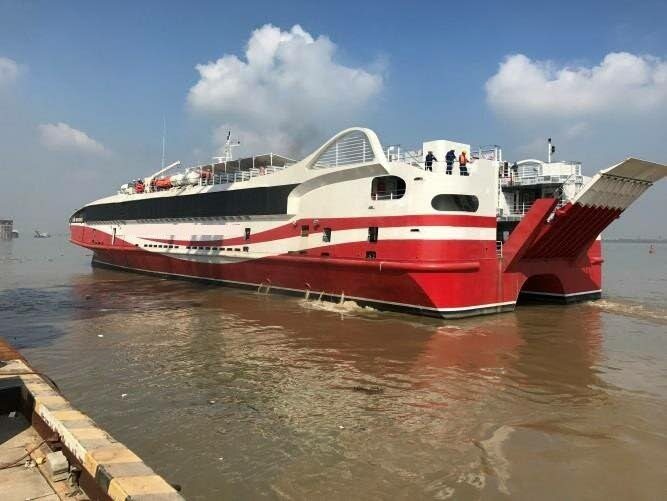 GALLEON’S PASSAGE: This photo of the new ferry purchased by government was shared online yesterday evening by Finance Minister Colm Imbert via his Twitter account. Finance Minister Colm Imbert yesterday said several rigorous checks were done to ensure that the new US$17.4 million catamaran Galleon’s Passage, meets all the requirements to operate on the domestic seabridge. At the post-Cabinet news conference at the Diplomatic Centre in St Ann’s, Imbert explained the sequence of events which led to the vessel being identified and subsequently purchased. The vessel is owned by Sea Transport Corporation of Australia and was built at the Nansha Shipyard in Guangzhou, China. Reiterating that the Cabinet sub-committee only identified and did not procure the vessel, Imbert said the committee chose not to rely on previous inspection reports or sea trials. He said Lloyd’s Register of Hong Kong was commissioned to an inspection of the vessel. Schulte Marine of Australia and experts from UTT’s Maritime campus provided a second and third independent inspections of the vessel. All three inspections and associated sea trials were done in China. Finance Minister Colm Imbert at yesterday’s post Cabinet briefing at the Diplomatic Centre, St Ann’s. Imbert said the three reports from these entities satisfied the committee that the vessel was “worthy of consideration.” He said the British law firm Haynes and Boone ensured that what was being done was legally and commercially correct and in TT’s best interests. Imbert said the lawyer assigned to this acquisition has done 20 such ship acquisitions in China over the last two years. He said the process has been handed over to the National Infrastructure Development Company (Nidco) to complete the transaction using its procurement process. 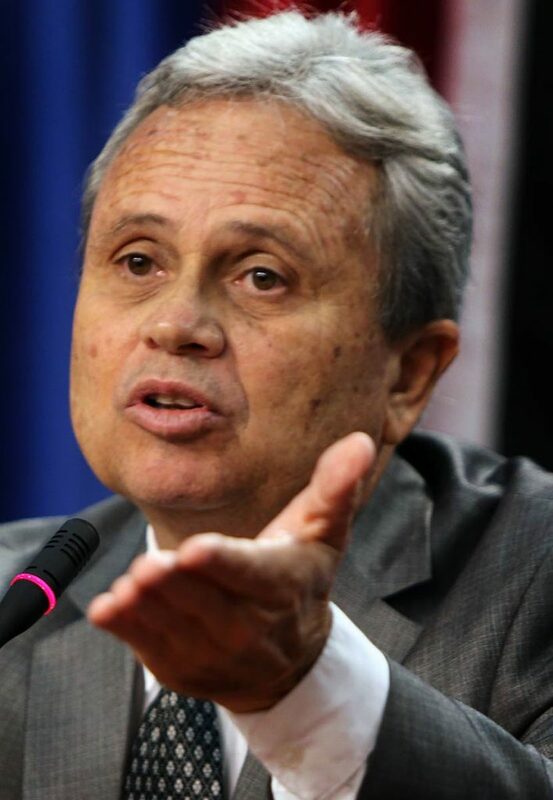 Imbert also said that US firm Dun and Bradstreet has been hired to do, “a financial and forensic check on everybody involved.” While some people could describe all of this as “overkill,” Imbert said at one point the vessel’s owners wondered whether TT still wanted it. He said the vessel has an aluminium superstructure, steel hull, is 74 metres long, has a draught of 2.75 metres, can accommodate 700 passengers and 100 vehicles and has good fuel consumption. He said it will leave China next month and should arrive in TT by April. Imbert said it will complement the TT Spirit, which is expected to return to service next month, and the TT Express ­– which is scheduled to go on dry dock. The estimated sailing time for the Galleon’s Passage between Trinidad and Tobago is four hours. The sailing time for the Spirit and the Express between the islands is four hours and 15 minutes. Imbert said when the Spirit and Express commenced service, their sailing time was three to three and a half hours. He said the Galleon’s Passage can also berth in the proposed Toco port. Reply to "Galleon’s Passage coming to TT"